In one sentence: the Coach helps the Coachee (receiver) to achieve a specific goal, set in the beginning. You might want to coach yourself, as the superior or leave it to somebody else. I cannot speak for everybody. If you would ask 20 Coaches you would probably get 20 different answers and there are even different definitions in associations, if you read into the details. 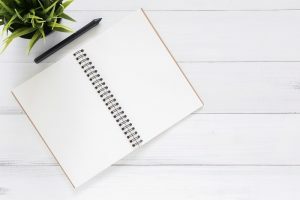 I’ve read a number of other articles about coaching and the differences to the other methods while working on this article. And due to the variety I would like to emphasize that this article is based on my own work, personal experiences, the methods I’ve learned in my two education and a lot of reading and exchange with colleagues. In my understanding a Coach helps the Coachee to improve himself, in terms of a certain set goal. This can be directed toward a certain performance or an improved skill set (often combined with training, see below). The requirement for the Coachee is, that he is willing to improve and that he agrees on a specific goal. An imposed Coaching is doomed to fail, as long as the Coachee is not buying in. Therefore the collaboration shouldn’t be fixed before the first get-together of the Coach and the actual Coachee to verify the goal. 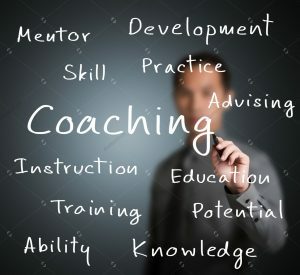 Ideally the Coach helps the Coachee to find his own way, uses the Coachees ideas and guides him to apply the new skill or changed behavior independently in his environment. The coach can do this by active listening and asking the right questions at the right time. Or he tries to remain outside and to solely observe. He would only intervene at key moments to help in the decision process. Other techniques are providing guide trails the Coachee can follow. For instance in a coaching related to procrastination this could be a valid approach to help the Coachee in the beginning. With time the Coach should withdraw bit by bit. The `golden rule´ that a Coach shouldn’t provide any advice, training or idea looks nice on paper. In my experience the real world does require some flexibility. Or what would be the Coachees gain, if he is `stuck in a hole´ and you’re giving him several hints and opportunities to find his own way out. But neither climbing works on the loose earthy walls, nor the jumping part leads to any success. The only result is a tired, exhausted and disappointed, frustrated Coachee. Sometimes it just makes sense to pass him the ladder and check up on save ground how to `calibrate the compass´ again. If you think about the alternative use of the word `Coach´ in the sports world, you see exactly the latter approach. In this environment the athlete doesn’t just find his own solutions. He truly is the one who has to work and show performance, but the Coach helps with his outside view, tells him, what specifically he could improve in, gives very definite suggestions, e.g. in which technique he has to train harder and how specifically to train, to change training! But as a bottom line a consulting coaching can only show a way to solve a problem. But it is actually up to the individual to mimic or do something different. Sometimes you might even find a Coachee who actually does not have the interest, power or vision to use the ladder. In this case it is important to accept the boundaries of coaching methodologies. Sometimes it is appropriate to direct to a specialist support, such as a psychiatrist. A coach is not in a position to treat a depression and does has a responsibility to make the client aware of the potential risk and possible consequences. A united collaboration might be targeted (aimed at). The ethical guidelines can be found on the websites of the International Coaching Federation, the European Mentoring or Coaching Council. Coaching, as a process can always be delivered by the supervisor himself, another manager or an external consultant. Usually takes place in the office, integrated into daily workplace One-to-one process, tailored to the individual’s needs. Typically no advice given; using questions and feedback to facilitate the Coachees thinking and practical learning.